Huang’s tone-on-tone scheme of pale and dark grays fosters an atmosphere of calm across the three stories. “Our aim was for employees and visitors to feel cozy when they’re here,” he explains. His firm collaborated with artisans for one-of-a-kind elements. 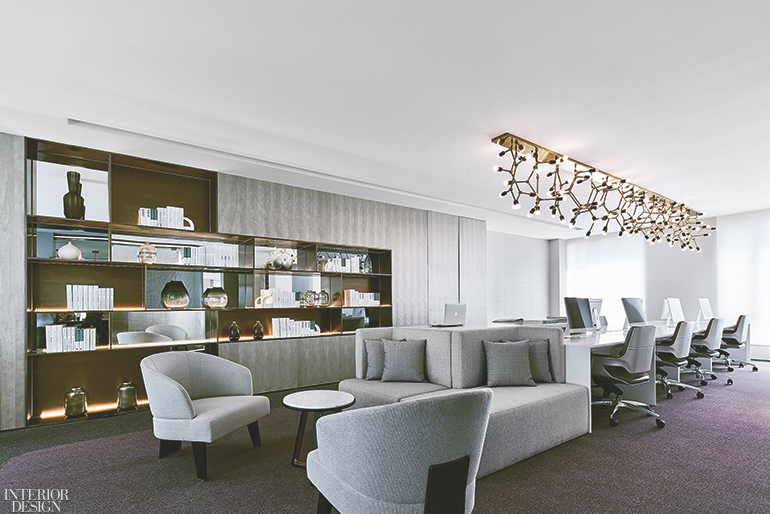 Reception, for example, is governed by a stately custom desk of Italian marble topped with brushed stainless steel. It’s backed by a textured acrylic partition surfaced with a grid of translucent white dots. 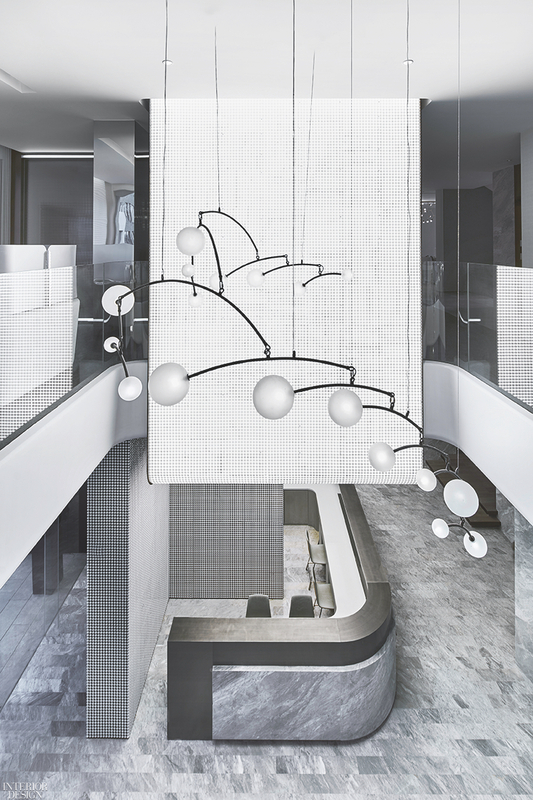 Overhead, a bespoke branching chandelier, Alexander Calder–esque in appearance, gently sways in the double-height space. 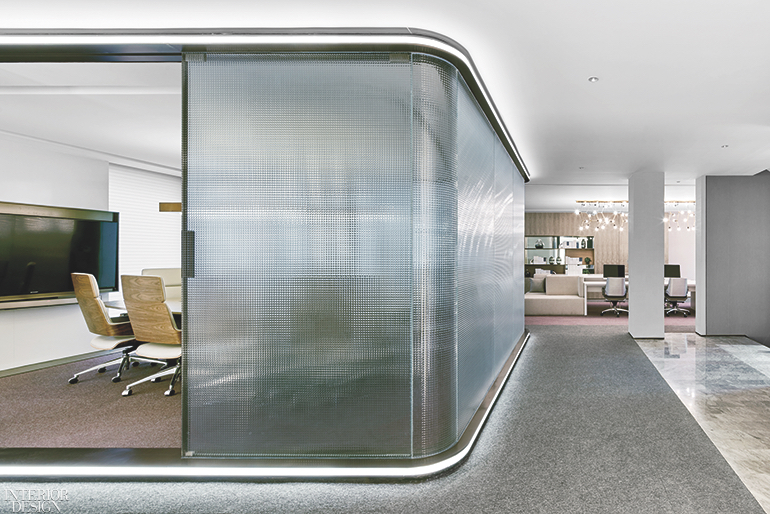 Meanwhile, LED strips showcase the curved, translucent glass panels enclosing a meeting room. Another meeting room exudes resimercial, with its upholstered furniture, glamorous lighting, and h carpet. 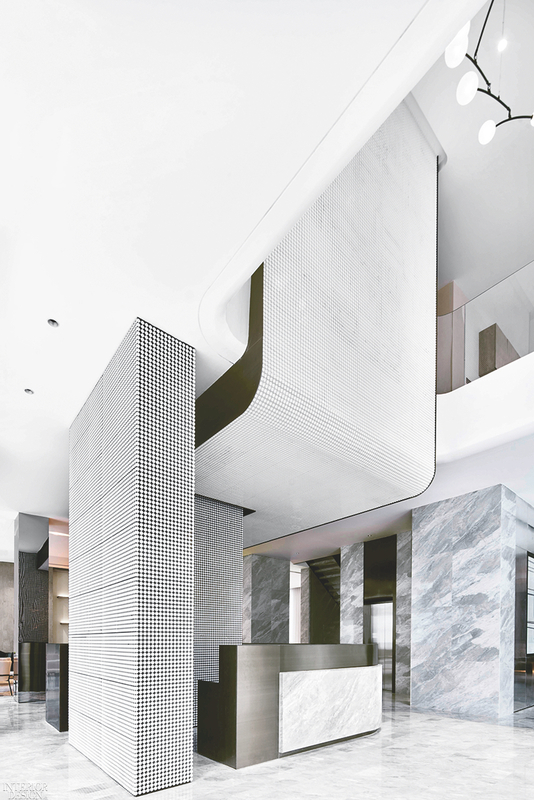 It’s an apt precursor to Huang’s next project, the Chedi Ninghai hotel.